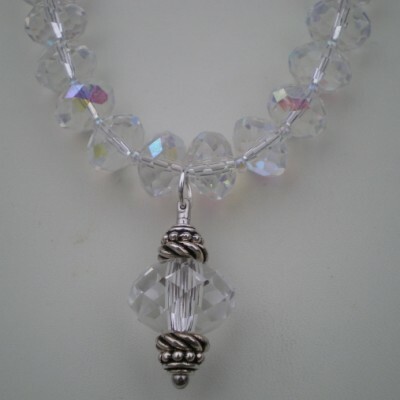 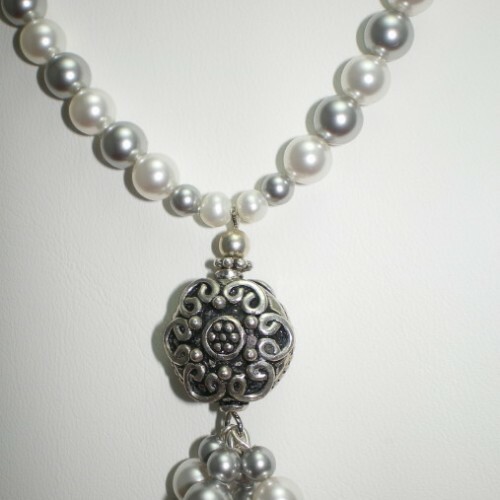 6mm white + gray swarovski crystal pearls/large bali sterling silver bead with swarovski crystal pearl dangle pendant. 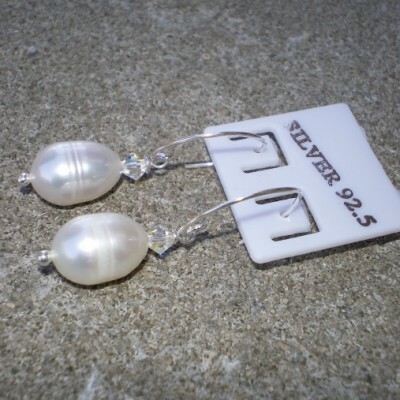 Matching earrings with sterling silver square posts. 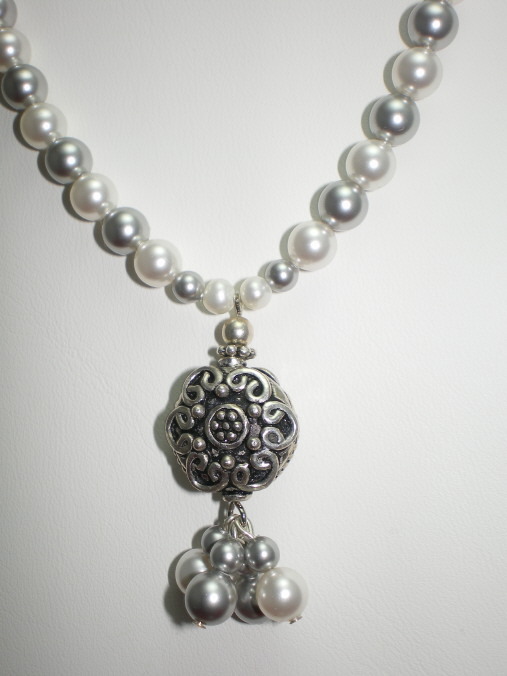 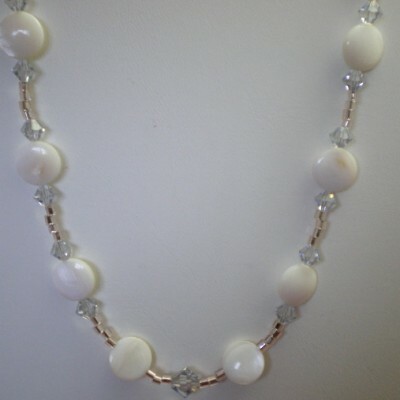 Be the first to review “16 1/2″ Crystal Pearl and Bali Sterling Silver Wedding Necklace & Earring Set” Click here to cancel reply.